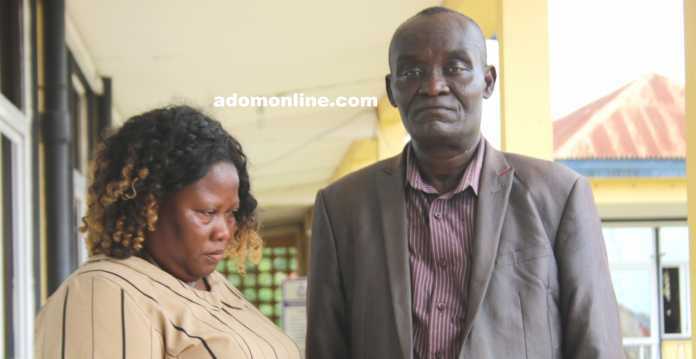 Two senior officials of the Social Welfare Department in Kumasi in the Ashanti Region, have been picked up for allegedly stealing and selling a day-old baby. Probation Officer, Evelyn Jemima Alangeah, and her colleague, Justice Administration Officer, 58-year-old Samuel Obeng Afriyie, admit to selling the baby to a couple for over GHS16,500. They are said to have stolen the child from a maternity home where the mother had been sent to give birth. The baby’s mother who hails from Lawra in the Upper West Region, sought support from the Social Welfare Department’s Regional Office last year after her boyfriend abandoned her with a pregnancy. She was said to have met Evelyn who asked her to call when she was due for delivery. The social worker took her to a private maternity home in Kumasi and stole the baby the day it was born. She reportedly told the woman her sick baby had been referred to a nearby hospital for further observation after it was born with rashes on the neck. Investigations by the Anti-Human Trafficking Unit, however, revealed Evelyn had then sent the baby to the Kumasi Children’s Home, and later sold her to a couple who had applied to adopt a baby at the department for GHS 16,500. Evelyn, after selling the day-old baby, told the woman her baby did not survive and later took her to Tewobabi in Kenyasi near Kumasi, where she lived with her for two months. The mother, not too convinced with the story of her dead baby, confided in a friend who advised that the issue be reported to police. Evelyn Alangeah was arrested on April 6, 2018, by the Anti-Human Trafficking Unit of the Ghana Police Service following investigations.